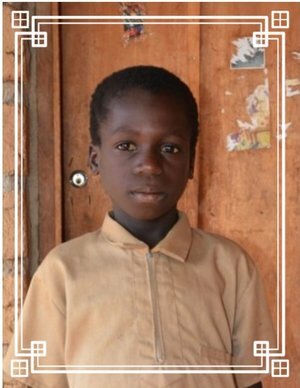 Kouadio lives with her mother, father, three brothers and three sisters. They live in a home constructed of bricks of mud clay with a tin roof and cement floor. They do not have running water, but do have electricity. I greet you in the name of Jesus. I thank you for my sponsorship. I thank you also for the school funds for the 2016-2017 year as well as the food and the gifts. My family thanks you as well. Thanks to God, this year, I am in CE2 (3rd grade). I am in good health and I am very happy. Thank you. May God bless you. Happy New Year 2018.